School year starts in less than two weeks. 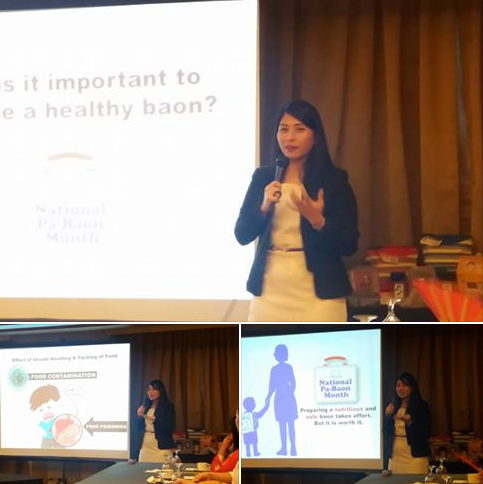 Hence, Lock & Lock launched its “National Pa-Baon Month” last May 28, 2016 at The Linden Suites just in time before students go back to their daily grind this June. Sawasdee Marketing Corporation President, Mr. Raphael Chua and Mr. Robbie Ablen welcomed media and bloggers to Lock and Lock's “National Pa-Baon Month Launch. The afternoon program started with a short talk by a nutritionist on healthy food choices, proper food handling and sanitation. Just like most moms, I carve the time to prepare packed lunch for my daughter. I deem it important for mothers to ensure that their kids eat the right meals to keep them healthy in school as they brave another year of education. Cooking at home allows me to control the sodium and sugar in meals I prepare plus I get a freehand to choose healthy foods not usually available in the school cafeteria. I firmly believe that home cooking gives our children a jumpstart on good nutrition practices that will last them a lifetime. Choosing home-cooked meals over fastfood would mean that my child is eating healthier and consuming less fried foods, unhealthy trans fats and soda. Lock and Lock Lunch Box comes with water tight lid and removable divider cups, which ensures no mess in my daughter's lunch box. Lock & Lock rectangular Lunch Box Sets are certified BPA Free Food containers with Leak Proof Locking Lids. This means that is a safe for children. I don't worry about plastics leaking into the food that my child eats. It is spillage-free, freezable, microwable and dishwasher safe. The campaign is timely and relevant as students begin the new school year. The newest Lock and Lock campaign helps address concerns on maintaining food quality and nutritional content of the food we buy. It introduces trendy Lunch Bags that are insulated to guarantee the freshness of the "baon" we prepare for our kids. After had our lunch, Bento Mommas took on the floor to teach us how to make preparing a more appealing baon. Bento lunch boxes inspire us to pack healthier fare for our little learner. 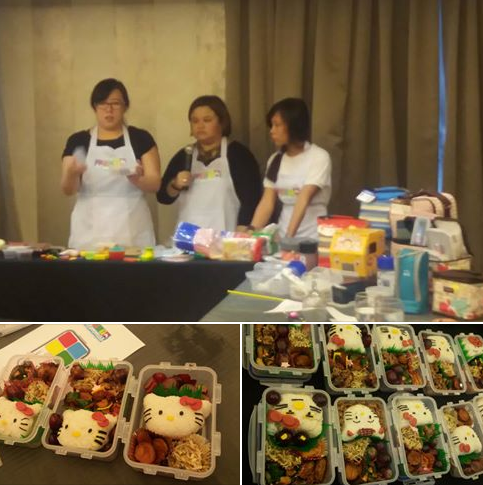 They taught us step-by-step bento-making in that character of Hello Kitty. The bento activity was colorful, fun, and perfect for portion control. Do watch out for tips and recipes on preparing healthy baon choices that are easy to prepare via the Lock & Lock Facebook page and on Instagram, LockandLockPH.